Give your feline friend the comfort and convenience of the Lucky Champ Cat Litter Pan. Elegantly and thoughtfully designed, this high-quality pan features a low-entry front for small kittens or aging cats with limited mobility, and an interior roomy enough for any size of cat. The high back wall helps prevent litter from being scattered onto the floor so your home stays clean and neat. 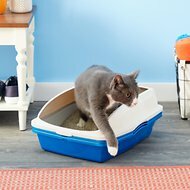 The non-porous plastic construction is easy to clean and won’t absorb stains or odors, so you can expect years of use from this innovative, well-made litter pan. 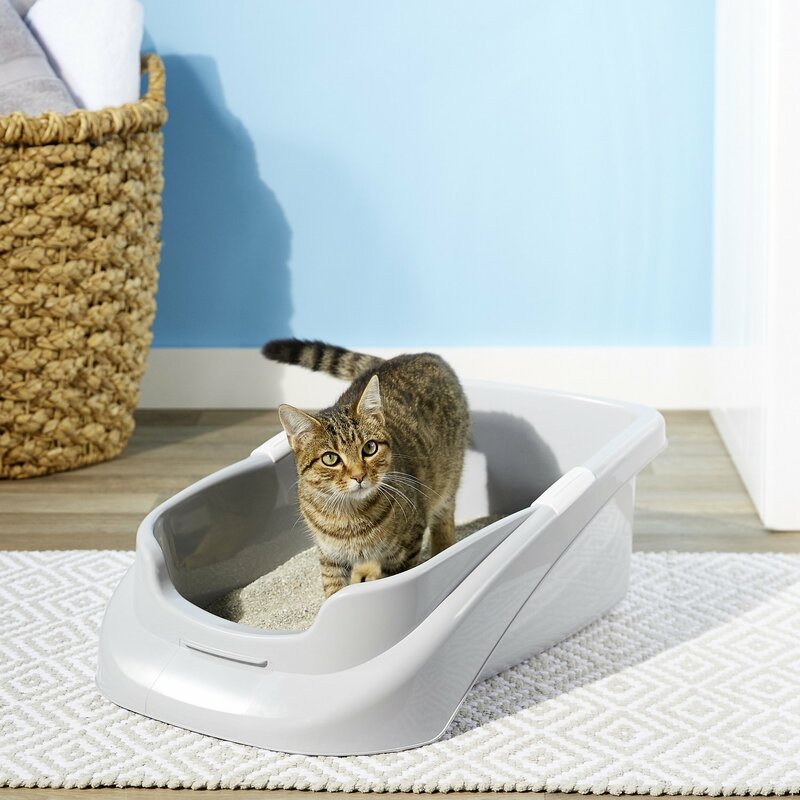 Elegantly and thoughtfully-designed litter pan provides comfort and convenience for your feline friend. 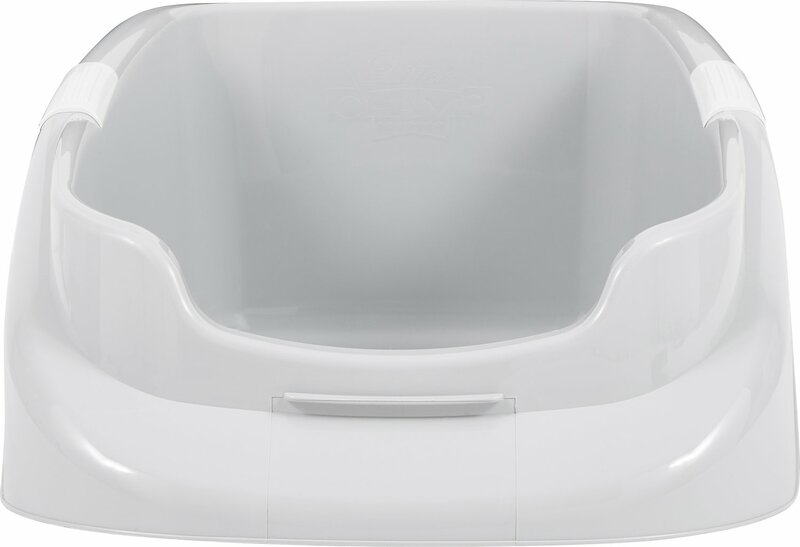 High-quality pan features a low-entry front for small kittens or aging cats with limited mobility. The high back wall helps keep litter in the pan and off your floors so your home stays clean and neat. 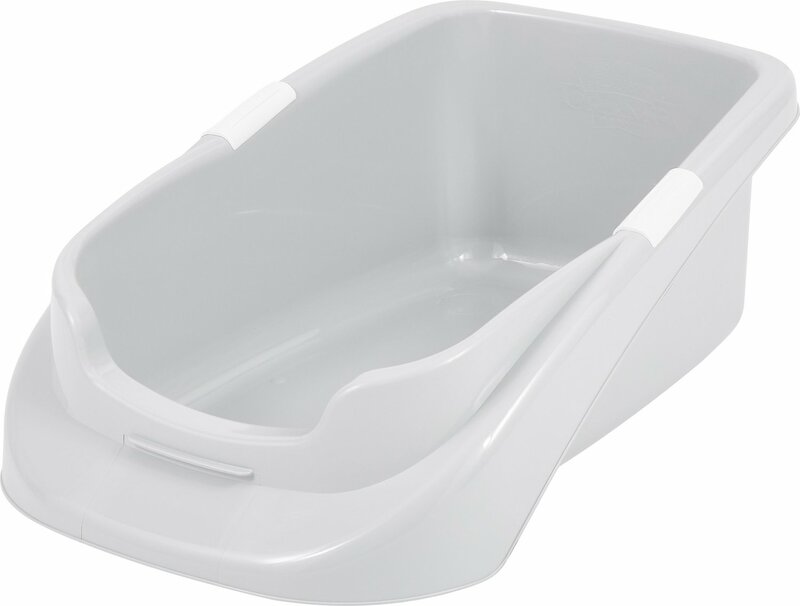 Non-porous plastic construction is easy to clean and maintain; large pan measures 25 x 16.5 x 9 inches to accommodate cats of all sizes. Rubberized side grips provide sturdy handholds so you can easily move the box whenever needed. To avoid danger of suffocation, keep the refill liner away from babies and children. Do not use the refill in cribs, beds, carriages, strollers, or playpens. Just didn’t work at all for our kitties. One has a bad hip. She still gets around good but just not as well as when she was young. We really wanted this to help. There was litter kicked out all over the place. What a mess. We will donate it to our local shelter. My 19 year old feline has a bad lower back. She was wetting outside the shorter litter box I have bought for her. She would go in but her aim made it go over the edges. This box's design is much better for her. It has a low entry front and high sides to block the urine from making it out. This was just what she needed. 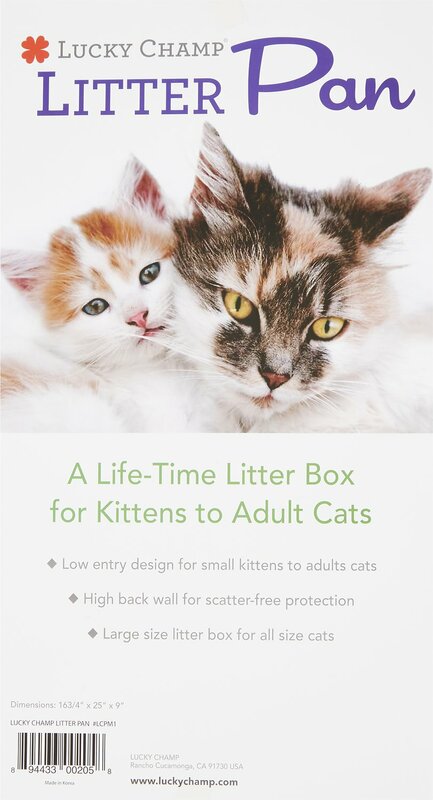 Great for older cats! 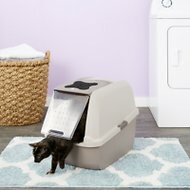 Our cats can get in and out of this new litter box so much better. Sometimes they do flick the litter out onto the floor, but it’s not a big deal. This was a great purchase! Maggie my cat with IBS and back hips that are only partially functional is actually pooping on the floor less and in the box more. Finally! Little too wide for my under the cabinet place, but the cats and dog love it. Low enough for pekamalt to use super yea! My cat has trouble getting into regular litter boxes, due to an injury with her back legs, but she had no trouble with this one. Thanks!! Should have bought this a long time ago! This was a great buy for my senior cat (she's 19!). I adopted her when she was 12 and was told by the people who were taking care of her that she liked the litter box to be covered. I never had seen her in her box because it was in a 2nd bathroom in my old place. My new place is smaller and I can see her in the box now and boy did she look uncomfortable in the old one with the cover...poor thing! She was pooping outside often as well and it made sense why after I saw that. This litter box..or pan as they call it..is SO much more comfortable for her. Easy in and out since the entry is lower...cleaning it is a lot easier as well. I highly recommend it!